Life can be stressful! Here at The Warn House, Greg, Cate & Ceilidh graciously welcome you to a place where you can find relaxation and enjoyment within our elegant character home or out on our 2 acres of Mother Nature. Spend unhurried time with a loved one and replenish your best self – physically and spiritually. We are far more than a comfortable bed & a delicious, hearty breakfast. We have many additional services to offer you…all in-house…sight seeing tours, music galore, bicycle riding on Summerside’s 7 km boardwalk, refreshments at check-in and bonfires under the stars, to name a few. 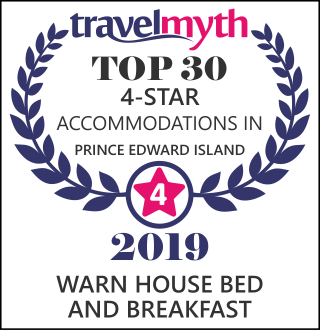 Come for a visit and experience a touch of heaven in PEI.